We are saddened to report that Susan Balshor, passed away suddenly from complications of the influenza virus on Wednesday, January 23, 2013. 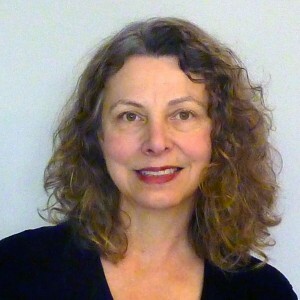 Susan Balshor held M.A. degrees in Sculpture and Philosophy. Her art work was narrative mixed media, incorporating glass, metal, clay, wood, paint and paper. For years, Susan was a fixture at Pratt teaching mold making and kiln formed sculpture, as well as an active member of the Education Committee. 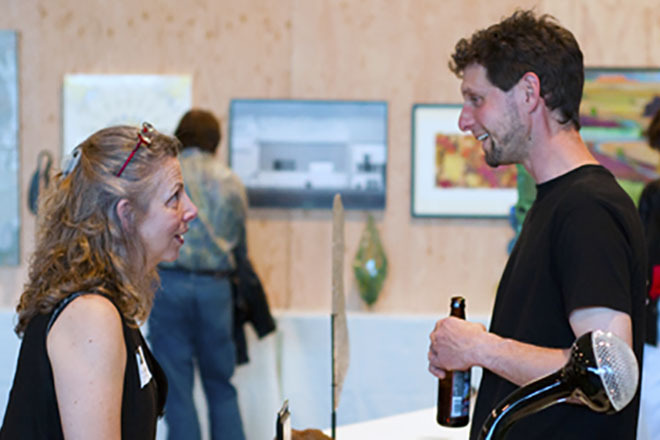 She was also on staff and an instructor at Pilchuck Glass School as well as a scholarship recipient at Pilchuck and Penland School of Crafts. She was included in Corning’s New Glass Review in 2009 and Bullseye Emerge in 2008. In addition to her love of art, Susan had a deep love of music and was an avid dancer. She co-founded the Valse Café Orchestra and started The Masquerade at Century Ballroom. Susan Balshor’s memorial is set for Sunday, February 24, at one of her favorite cathedrals: the Century Ballroom on Seattle’s Capitol Hill. Doors open at 1 p.m. For the next 30 minutes, as those who knew Susan hang their coats, greet, and find seats, the Valse Café Orchestra will play music Susan loved. Susan co-founded this ensemble 14 years ago, and was its Artistic Director as well as its lead vocalist. At 1:30 the formal program will commence. There will be time allotted for those who would like to share a memory or a story of Susan during the next two hours. You’ll find the Century Ballroom on the second floor of the historic Oddfellows Building, 915 East Pine Street, one half block east of Broadway and across from Bobby Morris Playfield (a.k.a. Cal Anderson Park). Parking can be sometimes tight on Capitol Hill, so allow a little extra time to find a space. Two lots are close by and quite affordable: The Seattle Central Community College garage, on the northwest corner of Harvard Avenue and East Pine Street, is one and one half blocks directly west of the Oddfellows Building. And just a few doors north of the ballroom’s main doors, on Nagle Place where it t-bones with East Pine Street (across from the tennis courts), you’ll find an underground garage on the west side of the street. On Sundays street parking is free. The Oddfellows Building has stairs and an elevator. Push 2 for Susan’s cathedral.